Is HR Ready for Something Better? It's that time of year when the craziness of annual enrollment is finally wearing off. You survived, it’s a new year, and while it’s easy to just bask in the “done-ness” of annual enrollment, now is the most important time to evaluate the success of your annual enrollment to help determine your strategy moving forward. It’s time to reflect and ask yourself, how many, or what percentage of your employees enrolled in which plans? What would you improve in the process? Were your employees satisfied with their enrollment experience? Were you satisfied with your overall experience? If you walked away feeling you weren't completely satisfied, you're not alone. According to a survey reported by Employee Benefit News and Employee Benefit Advisor, 39% would like new benefits enrollment systems, 32.7% seek better benefits administration tools and 30.9% are planning to spend money on an improved employee benefits portal. What does this tell us? This data tells us there are a lot of unhappy HR professionals out there. These pros know they and their employees deserve a better solution. If you are part of the 39% vying for a new benefits enrollment system, you've already taken the first step by realizing that it’s time for a change. So how should you get started? The first step in evaluating a benefits administration vendor is a request for proposal (better known as an “RFP”). An RFP is simply an in-depth set of specific questions that will help you gain insight into, and responsibly evaluate, your potential benefits enrollment system vendors. 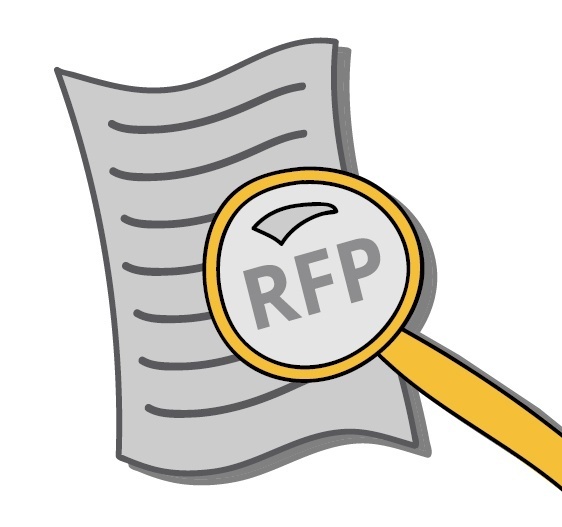 The RFP process can be the start of a beautiful relationship between you and your benefits administration partner. It can plant the seeds for a long-lasting, mutually beneficial relationship with each other's best interests at heart...if it's done right. If you haven't administered an RFP before, it can be difficult to know where to start. To that end, we want to help make your journey as painless as possible. Our internal RFP specialists have compiled a "Top 7 Ill-advised RFP Questions" SlideShare as a resource to you, offering some of the most commonly asked, but least relevant RFP questions. By helping you ask better questions in your RFP, you can receive better information for evaluating benefits technology and services vendors. We want to help you on your quest to finding a better partner and hope that you can use this guide to write your best RFP to evaluate us, or any benefits technology vendor. So go ahead and begin your search for something better--you deserve it! For even more information, join us and the experts from RFP365 for our upcoming webinar with Employee Benefit News on February 23rd.